Is my tattoo full of toxic chemicals? Had I but more time and column inches, I’d regale you with the story of my visit to a smoky tattoo parlor in central Dubrovnik. Whether I emerged decorated or unscathed remains a mystery to all but my closest compatriots. It seems that tattoos are here to stay, aren’t they. Statistics tell me that almost 40 percent of millennials have at least one design etched into their flesh, though walking around Grist’s hometown of Seattle on a Saturday night suggests that the numbers are more like 98 percent (I can’t be sure about the other 2 percent — they are wearing pants, after all). I appreciate that body art can be an excellent opportunity to broadcast one’s devotion to environmental causes, from Love Your Mother Earth-type tattoos to body art celebrating cycling, sustainable food choices, and recycling. But does ink extend the health risks of tattoos beyond the usual — you know, skin irritation and hepatitis? Experts have looked into this recently, and the answer is a resounding, “Well, maybe.” I must say the mounting evidence does not make me want to revisit Dubrovnik any time soon. Fact is, we don’t know much about what ingredients go into tattoo ink. The FDA technically regulates it, but by its own admission, hasn’t done much checking up on the stuff. The National Center for Toxicological Research has recently been looking into questions like, “What happens when tattoos fade in the sun?” and “Does the ink ever leave the tattoo and go gallivanting around the body?” (They’ll let us know when they figure it out.) As many experts point out, we don’t yet have significant research on the long-term effects of injecting inks of unknown provenance into our largest organ. We do know a few things, Heather: Some black inks have been found to contain polycyclic aromatic hydrocarbons (PAHs), probable carcinogenic chemicals formed by the incomplete burning of organic materials. (Fun and extremely related fact: Black tattoo inks are often made from a base of soot.) What’s more, scientists have discovered that these PAHs migrate from tattoos into the body’s lymph nodes. Colored inks might not be any safer, either: Many contain heavy metals such as mercury, cadmium, arsenic, chromium, and lead, which are linked to cancer and other undesirable outcomes. If you’re one of the many people who have willingly injected such things under your skin, don’t freak out: We don’t know exactly how dangerous this type of exposure is. But if you’re the cautious type, it could be time to rethink your plans for that psychedelic butterfly or profession of love on your hip. Are there any options for the tattoo-loving-but-toxics-shy people among us? 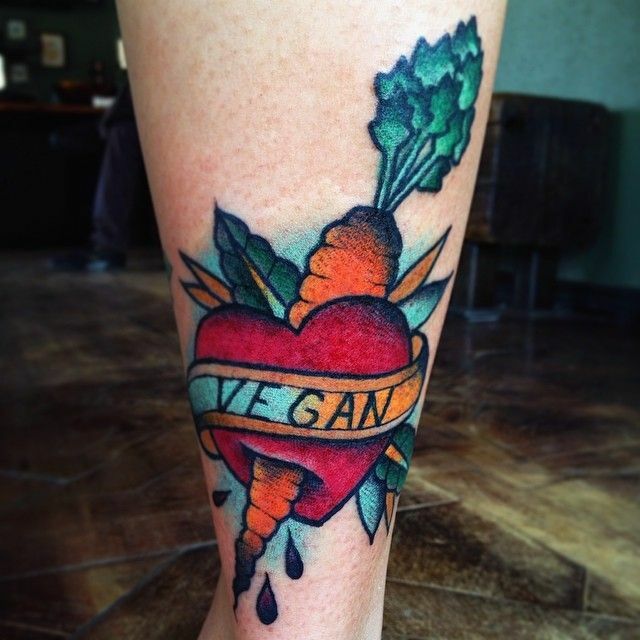 I’m sorry to report that there’s no such thing as USDA organic tattoo ink, though some parlors advertise vegetable-based or otherwise less-toxic hues. As with any buying decision — most especially one that will be permanently etched into your skin — I recommend asking lots of questions about ingredients and sourcing before you commit to anything. If that’s a no-go, the chemical-averse can turn to henna, that swirly, plant-based natural ink, for temporarily turning your body into a work of art — though please be very careful not to use black henna, an alternative that can contain irritating dyes and other additives and isn’t intended for use on the skin. I suppose there are always those short-term carnival favorites, decal-style temporary tattoos that you apply with a sponge or the airbrushed, stencil variety. Or we could think of it this way: These days, no tattoo is the new tattoo. In a world where everyone has a dragon crawling up his bicep or the Chinese symbol for serenity riding her beltline, pure, unadulterated skin is the really subversive statement.